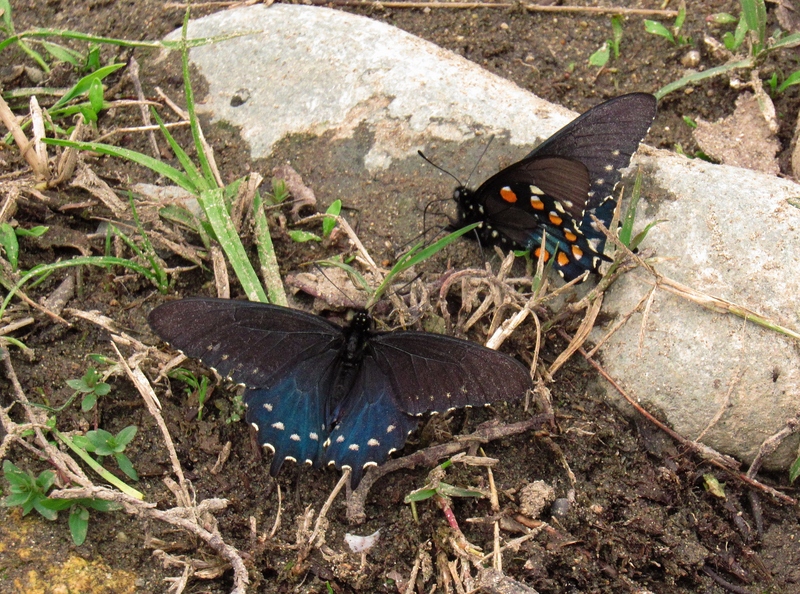 On spring-like days I see plenty of colorful butterflies flitting around — but very rarely do I get a chance to capture them with my camera. 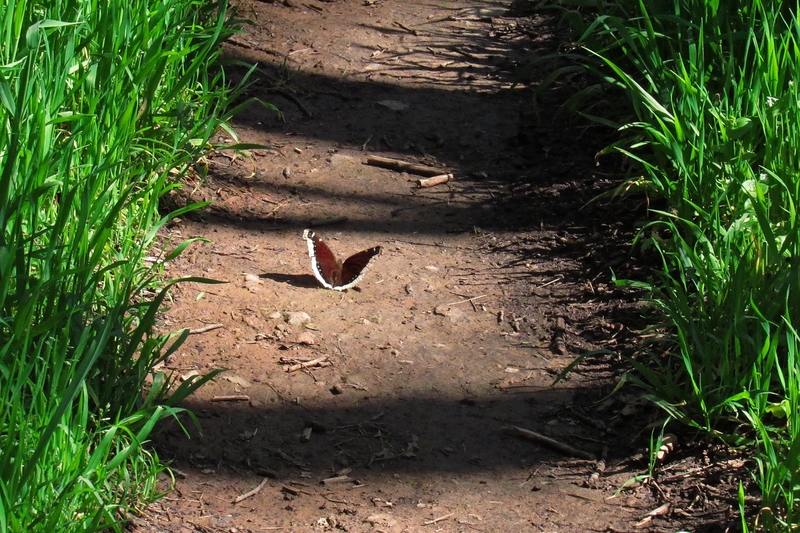 So I felt pretty lucky when I spotted the beauty above landing on the trail right in front of me! 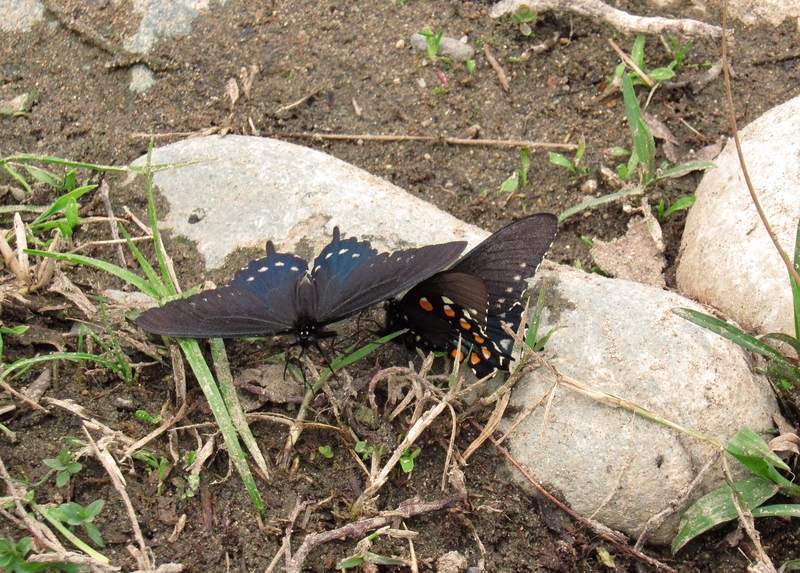 I started creeping forward very slowly, snapping pictures as I went; I didn’t expect to be able to get very close before it flew away. 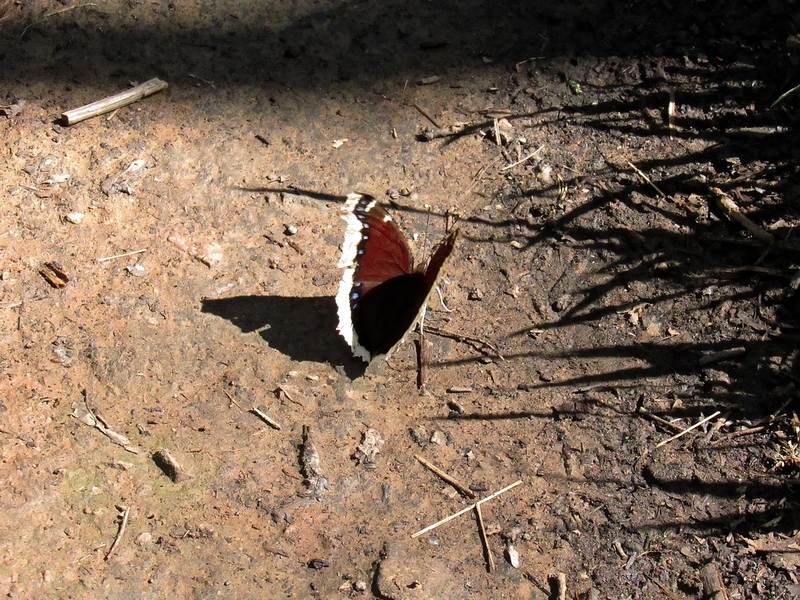 But either the sun was just right for basking in that spot, or the Mourning Cloak butterfly (also known as Camberwell Beauty in the UK) decided to take pity on me and pose for the camera. 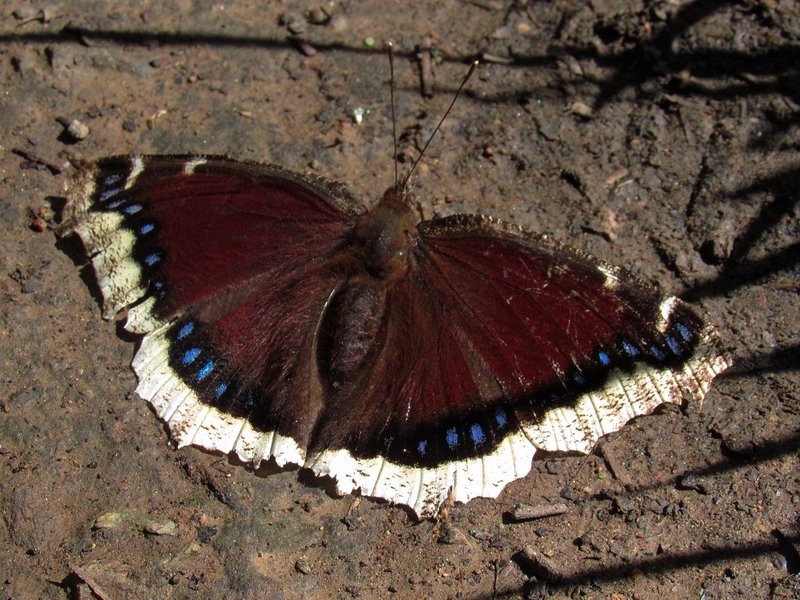 It stayed put as I inched closer, spreading its wings wide so I could appreciate the beautiful colors. 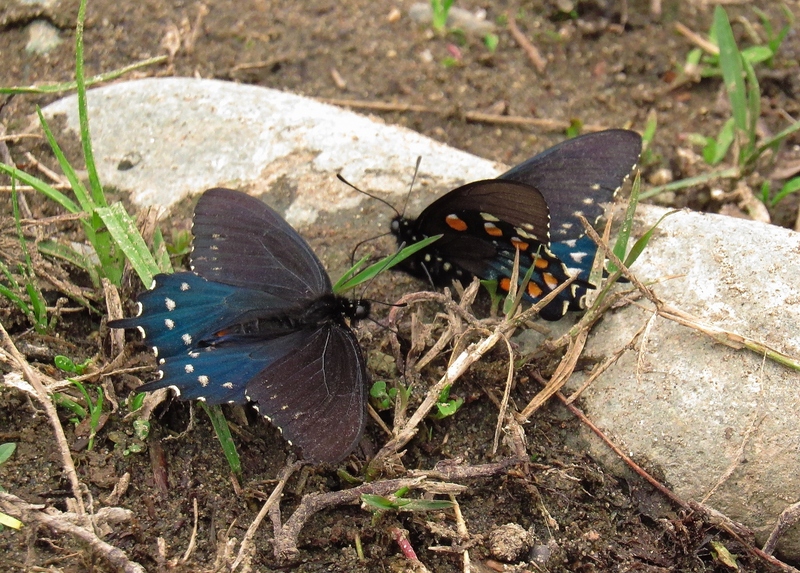 A couple of days later, I got lucky yet again — this time it was a pair of pipevine swallowtails near the American River. I didn’t get quite as close as before, but I was near enough to get a good look at the gorgeous iridescent blue and bright orange spots. I think I’ve had a pretty lucky week!